I love Sennheiser’s very expensive, very handsome wireless headphones. But, unfortunately, I can’t use my Sennheiser Momentum Wireless headset unless I plug in a cord. This is a big problem for wireless headphones—big enough that the company has now stopped shipping the product. I’ve tested three sets of Sennheiser Momentum Wireless headphones. The headphones look great, and the audio fidelity is amazing. But every single headset eventually exhibited the exact same problem. It’s actually three problems, and they’re all related to the wireless aspect of the Momentum Wireless. I’m not the only one either. I found similar complaints about connectivity problems both on forums and in Amazon reviews. The most annoying and most debilitating problem crops up in high traffic areas. If I walk out onto a busy New York City street, the audio connection skips, stutters, or cuts out altogether. This appears to be some sort of interference issue as it seems to get worse on more crowded streets and in airports. In the photo below, I’m standing at the corner of Prince and Broadway. The connection between the Momentum Wireless headphones and my HTC One M9 is so bad on this corner, all I’m hearing are clicks, chirps, and the occasional song lyric. I experience similar issues with an iPhone 6, a Motorola Moto G, and an HTC One M8. Like I said, the headphones are unusable when this happens. Indoors, the headphones work much better, but as I’ll explain in a second, they’re still not perfect. The other two problems are likely just symptoms of the larger connectivity problem. One affects phone calls, though I was unable to isolate exactly when. The voice on the other end of the line sometimes becomes garbled, almost robotic. (The fact that the microphone doesn’t work very well certainly doesn’t help matters.) The other issue happens when I’m connected to my iMac. It’s good old fashioned static, like I hadn’t tuned into a radio station very well. Most of the time, they work fine with my phone indoors, but I’ve started using a wire to connect the Momentum Wireless headset to my desktop. None of these are issues you want to experience on any wireless headphones, especially ones that cost $500. The only solution I found to the problem was to plug the Momentum Wireless headphones into my phone or computer with a wire. Again, this is something you should never need to do with wireless headphones. The good news is that Sennheiser is working on figuring out what’s going wrong and plans to issue a fix. 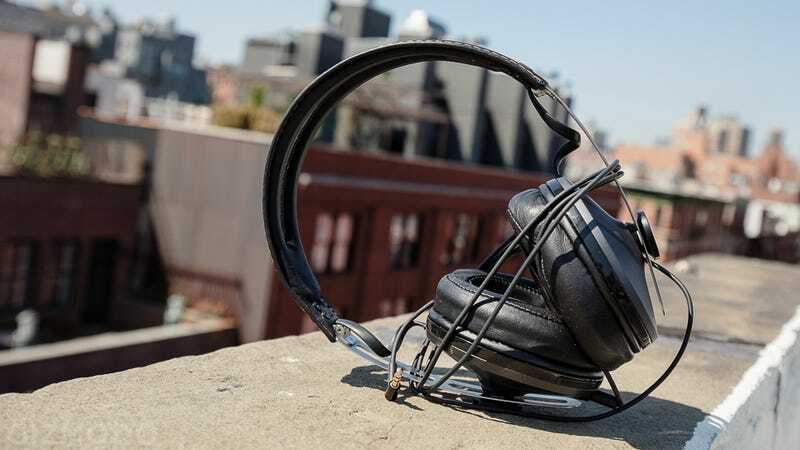 If you’ve been having trouble connecting your Momentum Wireless headphones to a device or have experiencing garbled sound, you should contact Sennheiser. The company will test your headset to see if it suffers from the symptoms and will replace them accordingly. Meanwhile, here are a few recommendations for wireless headphones that actually work well without a wire.